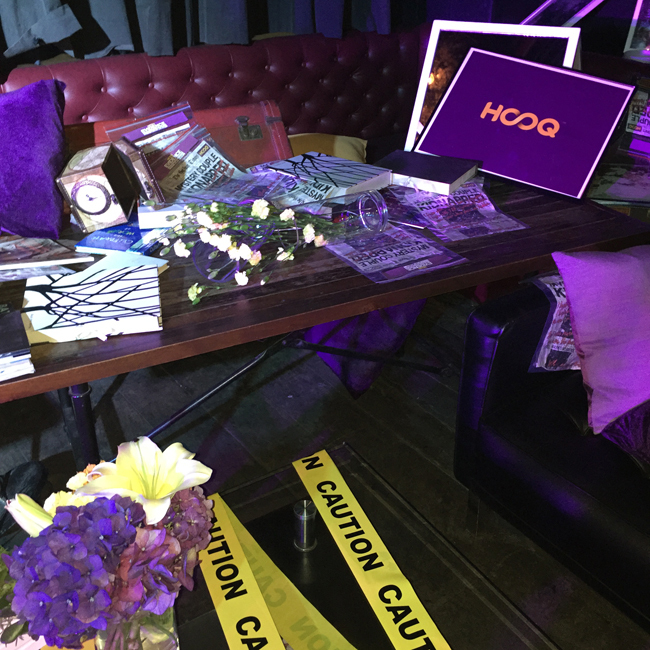 I played detective for a night at a very exciting Batman-themed event at URBN Bar and Restaurant to announce a roster of new shows and new brand ambassadors for Globe HOOQ. 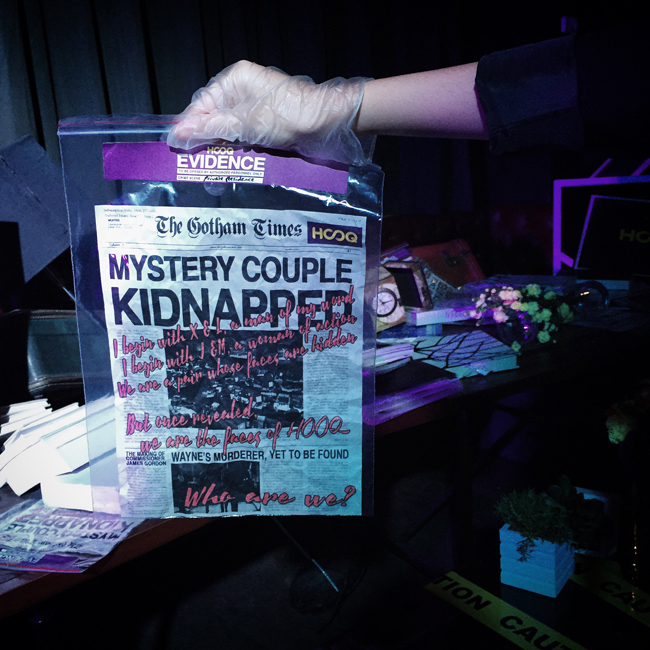 Upon registration, all guests were ushered towards different crime scenes littered with clues. We were to figure out the answers and upload them to Instagram for a chance to win Samsung tablets. So why go through all the trouble? 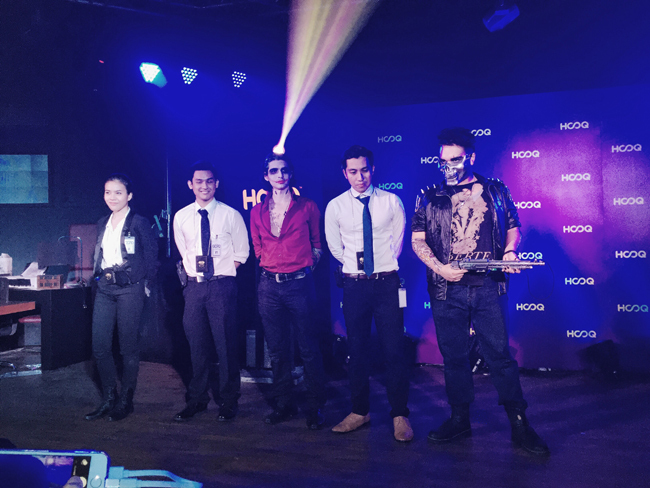 It was to celebrate the arrival of Gotham to Hooq's already massive library of over 30,000 hours of video on demand movies and TV series. Gotham stars Ben McKenzie of The OC fame as a young James Gordon in the crime-riddled metropolis of Gotham City. The show also features other recognizable actors such as Robin Lord Taylor from Law & Order, Donal Logue from Sons of Anarchy, and Jada Pinkett Smith from Hawthorne. This Hollywood blockbuster series is one of the latest additions to the Philippines very own video streaming service that provides a huge variety of both international and local TV shows and movies. HOOQ (pronounced “Hook”), an online streaming site that offers laughter, drama, action and adventure rolled into one. HOOQ is the first video streaming service in the Philippines to offer access to Gotham. 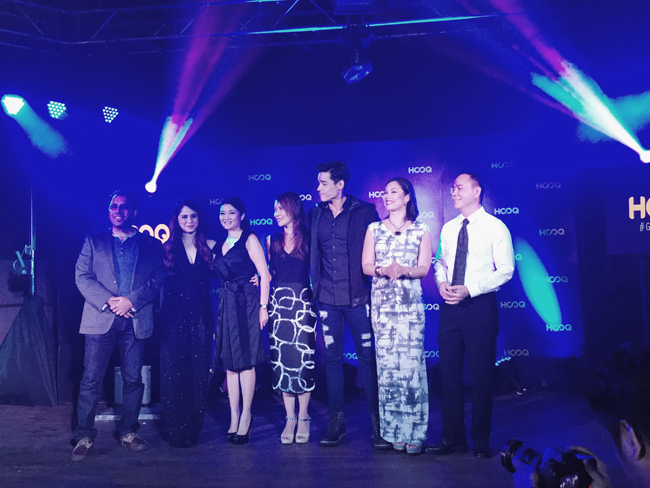 It was also when they announced Xian Lim and Jessy Mendiola as Globe HOOQ's new brand ambassadors. HOOQ covers pretty much everything from blockbuster Hollywood TV series like Arrow and the Flash, telenovelas from ABS-CBN or GMA, and even great movie classics on the go. Or pay only P149/month for a full subscription. Also make sure to check different HOOQ bundles from Globe and Tattoo to make the most out of your data plans.